Money management can feel overwhelming — but it doesn’t have to. Whether you’re looking to budget better, save more, or simply feel in control of your finances, you’ll want these five apps in your pocket. 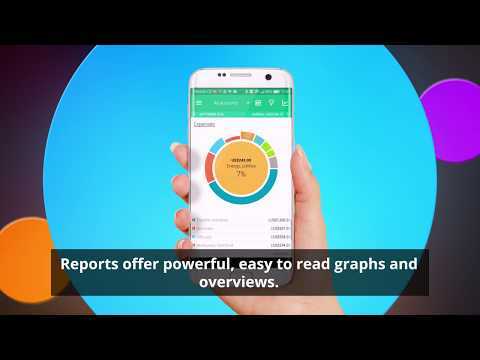 At the core of this trusted Intuit app is full access to your finances, from mortgages and insurance to everyday spending. Check your spending and set budgets by category, and get optional bill reminders by email or on your phone’s calendar. Mint is also on the web, so you can access your account by desktop too. Customizable rules (and the personal goals they’re tied to) are at the heart of this beautiful app. They range from saving a percentage of each paycheck to turning any activity into a savings trigger via partner app IFTTT. An optional Qapital Visa Debit Card unlocks features like direct deposit and bill pay. Wallet will help you keep tabs on your spending, but where it really shines is communal finances. Manage money across multiple currencies and banks. Subscribers can share an account with up to nine others, from family members to coworkers. Premium plans also include helpful features like bank account syncing. A clean design sets the tone for this stress-free money manager. See where you stand with simple spending charts and a free credit check, then identify ways to save, like canceling unwanted subscriptions. Some major credit cards aren’t yet linked with Clarity, but you can send a request to add yours. Sharing accounts, goals, a household, or all of the above? Co-manage your bills, savings, and spending with this approachable app. It’ll auto-categorize your spending, though you can assign transactions to multiple and custom categories. We especially love the option to chat with each other about specific bills and more in-app (instead of over dinner).